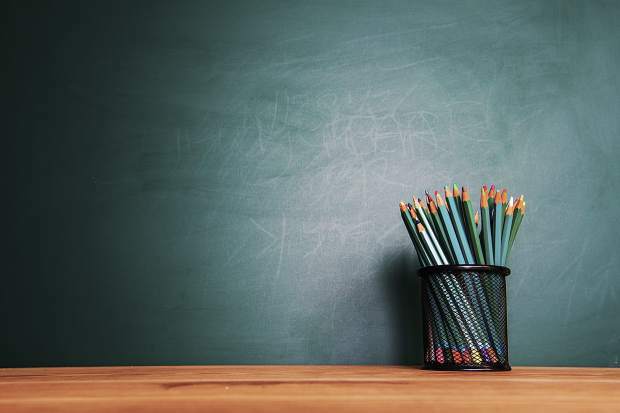 On Sept. 10, the North Lake Tahoe Bonanza received emails from three parents concerned about teacher layoffs and perceived issues with performance standards at Incline Elementary School, as well as how private money was spent on the school’s PE program. Over the course of the last 3 months, the Bonanza conducted several interviews with parents, school personnel and others in person, by phone and via email to learn about the school’s state of affairs. After weeks of research, we realized this story stretched beyond just a few emails and complaints, and included several elements and moving parts. In the interest of ensuring proper time was taken to fact check statistics and provide ample opportunity for comment, the Bonanza chose to delay publishing this story until this week, and is doing so in the format of a special report to include the several elements that comprise the issue’s many angles. INCLINE VILLAGE, Nev. — Kristine moved to the lake for the same reasons many people do. She and her husband saw Tahoe as a much-needed reprieve from the hustle-and-bustle of life in Southern California. They wanted to raise their children in a community where they knew their neighbors. They thought a smaller school system could provide their children with a better education, so they packed up their belongings and moved to Incline Village. With its full-time population of less than 10,000 people, Kristine Keever thought this would be the perfect place to raise a family. Eager to do her part and contribute to her new community, she joined the Parent Teacher Association at Incline Elementary School, where her children attended. She also got involved in other ways, like coaching cross-country. But it wasn’t long before she began to question the educational values of other parents, the school — and ultimately, the Washoe County School District. The district in recent years has struggled to meet performance standards at many of its schools across Northern Nevada. In November, four of its schools were at-risk for state takeover. 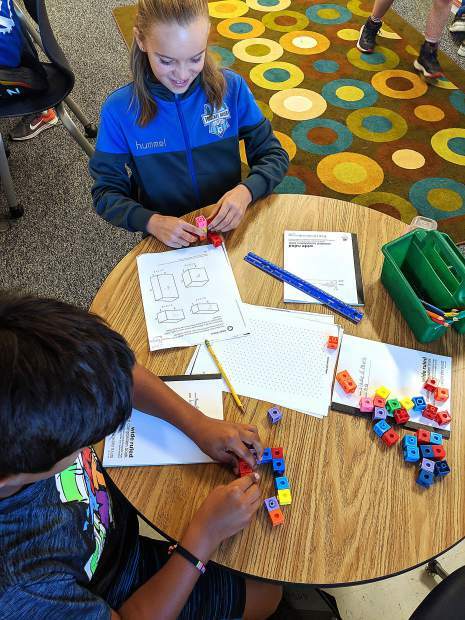 But in many cases, the district’s challenges have overshadowed the changes taking place here at Incline Elementary School. Since the school district doesn’t provide funding for physical education in its elementary schools, IES parents have spent the last several years funding the program themselves, and up until this year, fundraisers and other money-donating efforts flowed through the PTA. For years, IES parents have raised money to fund PE Teacher Michael Smith’s salary, which in 2015 was $70,014 with benefits. Keever told the Bonanza that during her time with the PTA, she and other parents became frustrated that all the organization’s fundraising efforts were going toward the PE program, rather than any other student needs. “We’re the only school in the district that spends $70,000 on PE,” she said. She and other parents point to Hunsberger Elementary School in Reno, which has lowered its PE costs by using aides instead of a certified teacher. Hunsberger Elementary did not respond to the Bonanza’s request for comment about its PE program, but we did confirm the school provides PE to its students through two teacher aide positions. Teacher aide salaries vary widely throughout the district, but most in 2015 were below $20,000, according to school district salary data obtained through transparentnevada.com. Keever, who is the current cross-country coach for Incline Middle School, feels that the school district should pay for PE. She said she doesn’t want PE removed from the curriculum, but is concerned by Incline Elementary’s declining performance. According to the Nevada Department of Education’s School Performance Framework, IES was a 3-out-of-5 star school from 2011-2014, except in 2012 when it dropped to a 2-star rating. According to the site, the state’s rating system has been paused, and there is no recent data available. “We want our children to be able to be more than lift operators,” Keever said. But not everyone agrees. Some parents involved in the PTA said they felt pushed out by those who wanted to keep the PE teacher — even if it meant ignoring other needs, Keever said, such as English Language Learner programs for students who are learning English as a second language, technology or literacy support to improve academic performance. “I’m so anxious about the school that we’re talking about moving out of here in 1 to 2 years,” said Keever. Keever said those who wanted to maintain the status quo pushed her and other parents, who wanted to redirect fundraising efforts to academic needs, out of the PTA. “It’s not a community up here. It’s about eight different communities,” she said. To fund the PE instructor’s position this year, IES parent Nicolle Larson said families were being asked to contribute around $150 per child. Although the PTA used to handle that fundraising, this year it has been taken on by the new Physical Education and Wellness Parent Organization (you can find more information about the group later in this story). Larson said her children, who are 5 and 7 years old, came home shortly after the school year began in August asking for money to donate to PE fundraising efforts. “Adults at the school are saying go get a job or bring in your piggy bank … they’re putting it on the kids,” she said. Larson said she believes PE shouldn’t be denied to elementary school children. However, as times change and populations shift in Incline Village, the issue lies with the fact more and more children from low-income families are attending the school — but they are still being asked to donate to PE over academics. “It’s not that I don’t believe in PE, it’s the way they’re going about it,” Larson said. She said she wasn’t sure if she should believe her kids at first, until she saw how upset her kindergartner became when she wouldn’t let him get into his piggy bank. Dan Zimmerman, principal at Incline Elementary, told the Bonanza the fundraising method was altered after this situation was brought to his attention. While parents are still being asked to contribute $150 per child, he said it isn’t mandatory and there is less pressure on the students. WHAT IS TITLE I FUNDING? Title I is a program that provides funding to “schools with high numbers or high percentages of children from low-income families to help ensure that all children meet challenging state academic standards,” according to the U.S. Department of Education’s website. The Free and Reduced Price Lunch program, for example, does more than help low-income children receive adequate nutrition — it also helps districts like Washoe assess which schools have the greatest percentage of low-income families. For this school year, about 38 percent of IES students benefit from the federal meal program, according to an email from Nevada Department of Education spokesperson Greg Bortolin, which is below the WCSD cutoff of 40 percent to be eligible for Title I funding. But figuring out whether IES is eligible for Title I funding isn’t that simple. There are several formulas, according to federal regulations, that can be used to assess eligibility — and by and large, the decision is left to the states. Both WCSD Area School Superintendent JoEtta Gonzales and Title I Program Director Brian Prewett referred the Bonanza’s requests for comment on this story to Vickie Campbell, WCSD public information officer. The email also said, “The Federal requirement is that a site shall receive Title I funding if they have a 75% or greater FRL percentage,” and that the district determines eligibility by which schools have an FRL percentage that’s above the district average — which is 45.65 percent for the 2016-17 school year. Campbell also said in her email that this year, the school district is providing Title I funding for 43 schools, with each having more than 59% of students receiving FRL. “… This allows us to service more schools and students than the Federal percentage of 75% while also ensuring that our highest poverty schools receive the benefit of funding,” she wrote. Campbell put the FRL rate for IES at 43.46 percent this year — which, according to Bortolin, is above the 40 percent cutoff for schools to receive funding. When the Bonanza contacted WCSD in a follow-up attempt to understand the discrepancy between the state and county figures, our requests for interviews were not returned. Another parent, Brenda Brinerson, emailed a statement to the Bonanza sharing concerns that IES has slipped significantly in state education ratings, according to a website called SchoolDigger.com. According to the site, IES performance ratings slipped from 36th in the state in 2006 to 159th in 2012 and 2014. In 2013, the school’s performance slipped even further — to 202nd. School Digger Founder Pete Claar told the Bonanza in an email that his site obtained all its data on IES from the National Center for Education Statistics. Campbell, meanwhile, referred the Bonanza’s requests for data to the website nevadareportcard.com. According to Nevada Report Card, since the 2003-04 school year, the percentage of students from white families has declined at IES, while the percentage of Hispanic students has been on the rise — 62.1 percent of students were white, while 36.02 percent were Hispanic. Meanwhile, by the 2014-15 school year, Hispanic students (48.24 percent) outnumbered white students (47.29 percent). Enrollment has also declined — 477 students in 2003-14, compared to 425 for the 2014-15 school year. Going back farther, according to WCSD statistics, IES enrollment stood at 715 students for the 1998-99 school year, compared to 427 students this past 2015-16 school year, a decrease of 40 percent. Also according to Nevada Report Card, between 2003-2012, the school made “adequate yearly progress” less than half of the time. In 2012, the state stopped evaluating schools using that model and switched to the Nevada School Performance Framework, or NSPF, which evaluates school performance like a restaurant or hotel — grading each by number of stars. So, a 5-star school is better than a 3-star school, for example. Nevada Report Card does not show NSPF ratings for Incline Elementary School, but SchoolDigger.com lists it as a 3-out-of-5-star institution. For parents like Keever, they say the school and the district aren’t doing enough to address the needs of students who use English as a second language and may be struggling to meet reading and writing standards. To add to the stresses of some parents, there were three teachers let go at the beginning of the school year, according to a memo from Zimmerman that was obtained by the Bonanza. Zimmerman told the Bonanza those layoffs were based on “Count Day” numbers, in which the district tallies the number of students in attendance and decides from there how many teachers the school can have. Zimmerman went to the district and appealed all three of the teacher allocation findings. “I took all of the rosters and went through student-by-student and said, ‘this is a tier-3 student who needs one-to-one support, this is a tier-2 student who needs small group support,’” he said. He also said that because a number of students in first grade need additional support, whether through special education or English-as-a-second-language programs, a smaller class size is really beneficial. “That appeal went to a committee in Washoe; they said, ‘Yes, you’ve right,’ we gained our first grade teacher back,” he said. This is Zimmerman’s first year at IES. Before, he worked as a principal at Chicago Public Schools. Further, Zimmerman said that the student population at IES is much different than people perceive it to be. “I think a lot of people think of Incline Elementary and they think of a more traditional school with less diversity, and we are a very diverse school,” he said. He said that some of the community’s more affluent families have chosen to send their children to other public or private schools in recent years, which may impact the performance at IES. “We’re probably skewing a little bit lower performing than we have been in the past, but we still have a really strong GT program, the whole school is a ‘STREAM’ school so we’re focusing on science, technology, reading, engineering, arts and math,” he said. Zimmerman also said that the achievement gap at IES, which some parents interviewed for this story raised concerns about, is an issue at IES. Zimmerman said that moving forward, his role as principal is to set the vision for the school, communicating student needs to the PTA so that they can center their fundraising efforts around that. “My strategy was very clear up-front: Let’s separate the PE from these other things,” he said. Until the current school year, the school’s PTA had been holding fundraisers each year to fund the salary of its certified PE teacher, with the annual Jog-a-thon being the main money-maker. This year, the PTA washed its hands of PE fundraising and left that task to a new nonprofit — the Physical Education and Wellness Parent Organization, which will take on organizing the Jog-a-Thon. The idea behind the program is that PE and nutrition can be provided to students the same way that the music program works. “We modeled it after CYMBAL, which is another nonprofit that raises money for the music program,” she said. The idea is that by breaking up different fundraising efforts, donors can choose which causes they’d like to give their money to. That way, each organization isn’t tasked with the burden of choosing between physical education and academic support. So, instead of having one fundraising organization decide if one program is more important than another, people can just donate funds to whichever cause they want. Incline Elementary is not the only school to fund its own PE classes in the absence of financial support from the district. Some schools use teacher aides to keep costs low, and at others, the regular teachers take turns instructing PE. While parents and teachers at IES have considered those options, some, like McMahan, say the quality just wouldn’t be the same. McMahan also said that schools that use PE aides in place of a certified teacher see high turnover rates because aides are not highly paid, and that’s a problem considering the cost of living in and around Incline Village is known to be considerably higher than other communities in the district.